How about a nice, tasty recipe you can make in 30 seconds or less? 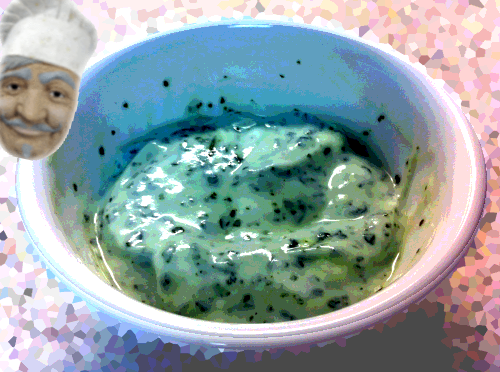 This dip is known in various parts of the world as "raita". Its principal ingredient is yogurt. You can mix various ingredients into the yogurt to add flavour, but this recipe adds a distinctly British touch by using mint sauce. Use as a dip for potato chips (crisps), flatbread or as a salad dressing. Simple yet delicious.